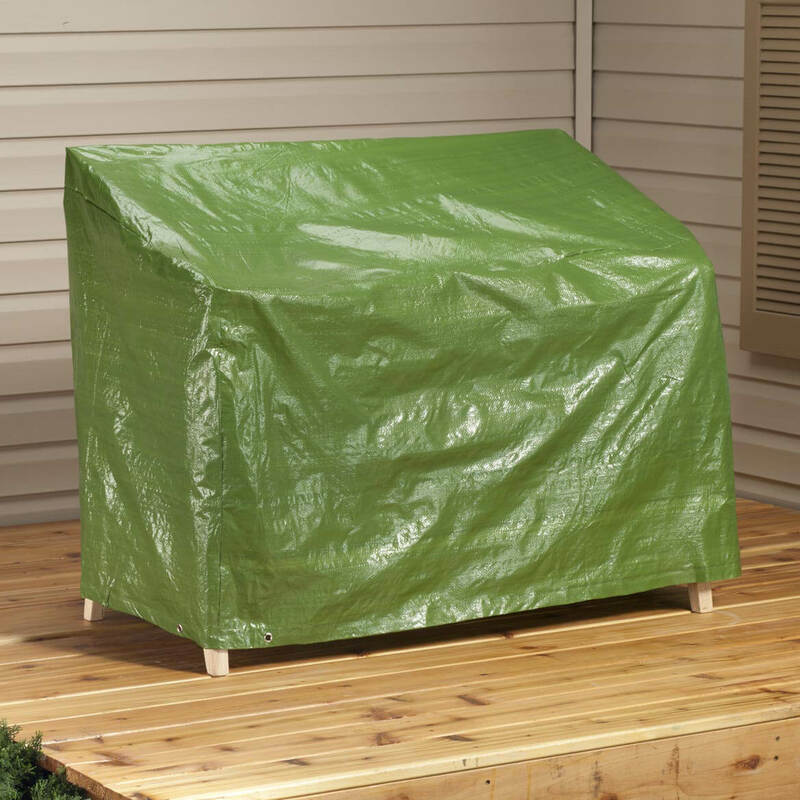 To protect outdoor furniture from winter weather. 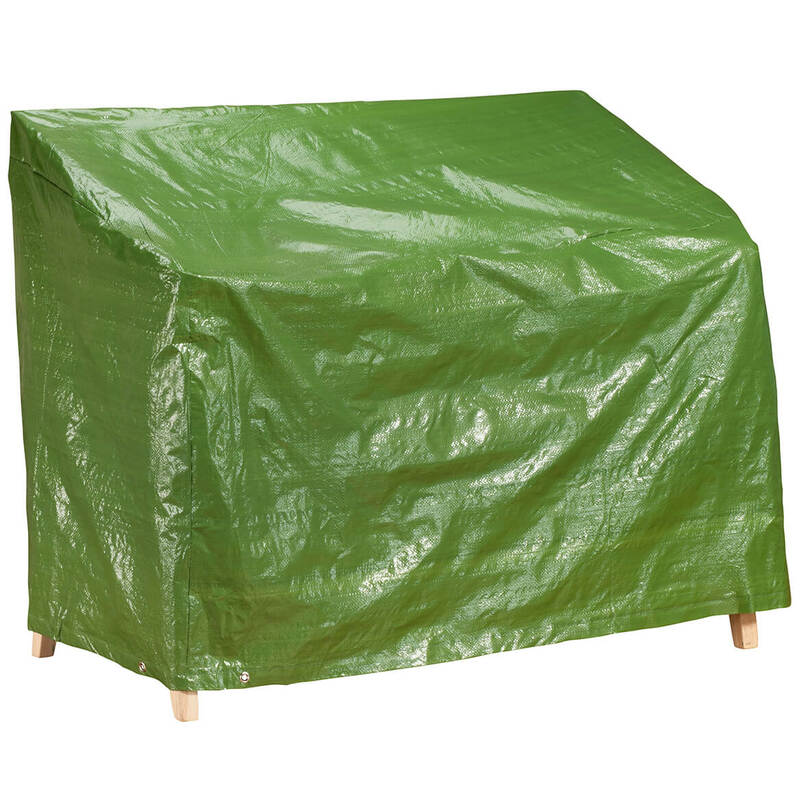 Hopefully will make it easier to cover outdoor furniture without wrapping with tarps. Good price. very much needed to cover my lounge. Right size and a great price. Preparing outdoor furniture for winter. I prefer the heavier gauge covering but Miles Kimbell is not carrying at this time. To prevent winter moisture on upholstery. For protection from the elements. Is there any way to hold this cover on in a wind? Such as elastic edges or draw cords ? BEST ANSWER: Thank you for your question. 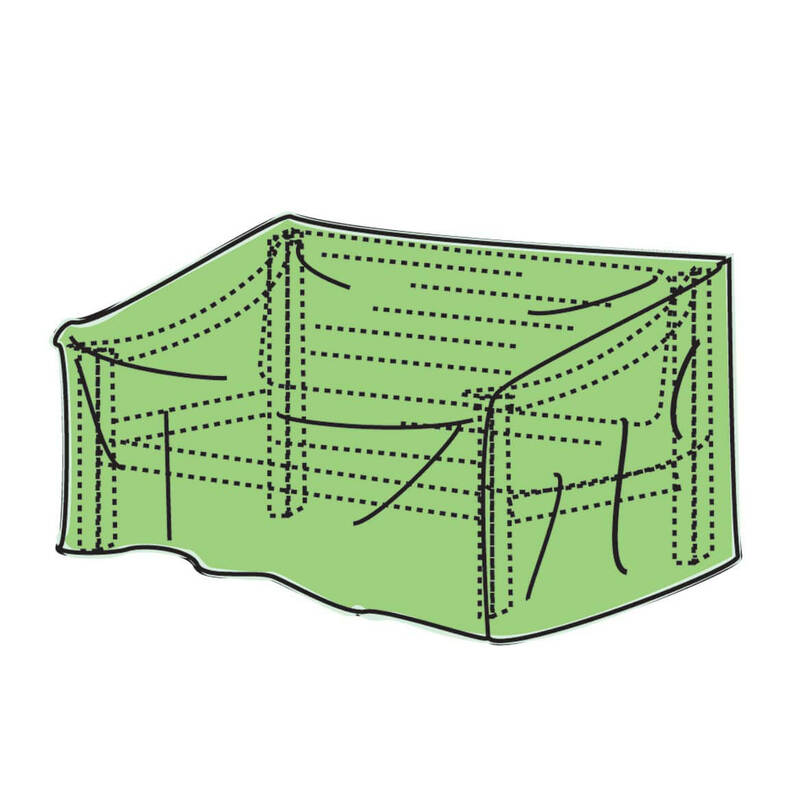 Yes we carry both bungee cords and furniture cover clasps both will work together to hold the cover in place. We hope this information will be of help to you. You would have to put them on yourself. Mine was big enough so I just tucked the cover under the legs of my bench and did not have any problems with the wind.. There are draw cords and they work well but I anchored mine with rock on top to double secure it. No you have to put a bungee cord or rope around the item to keep it from blowing off. Yes, there are grommets near legs of cover Enlarge picture and you will see them.